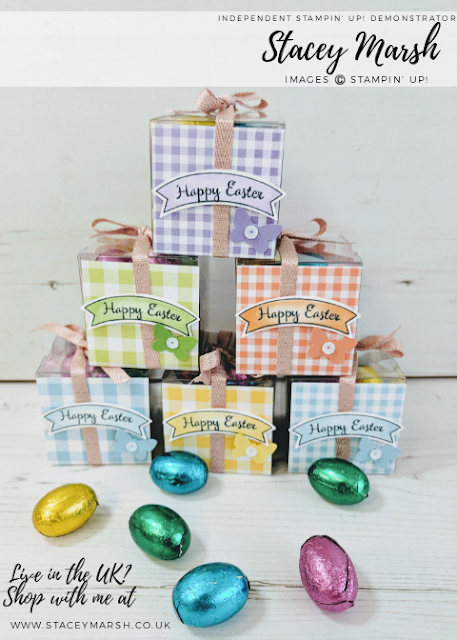 The weekend is finally here and after a busy Saturday, today will hopefully consist of some quiet time and a good old roast dinner! 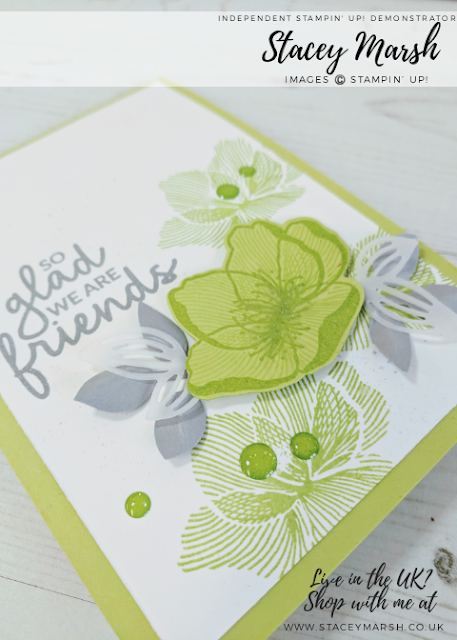 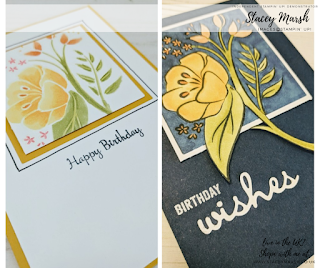 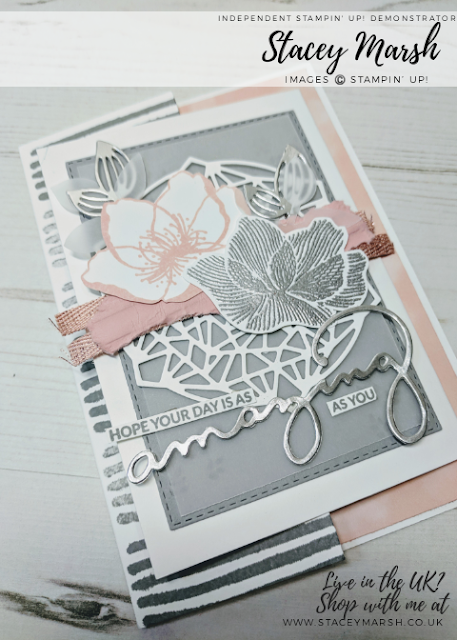 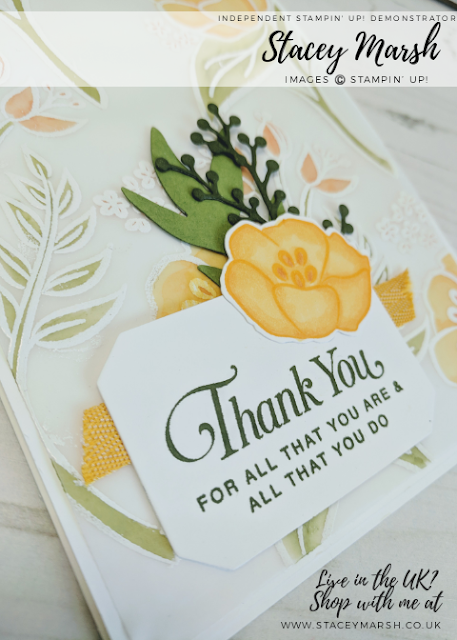 This card is one that took me no time at all and is perfect for a 'just because' occasion. 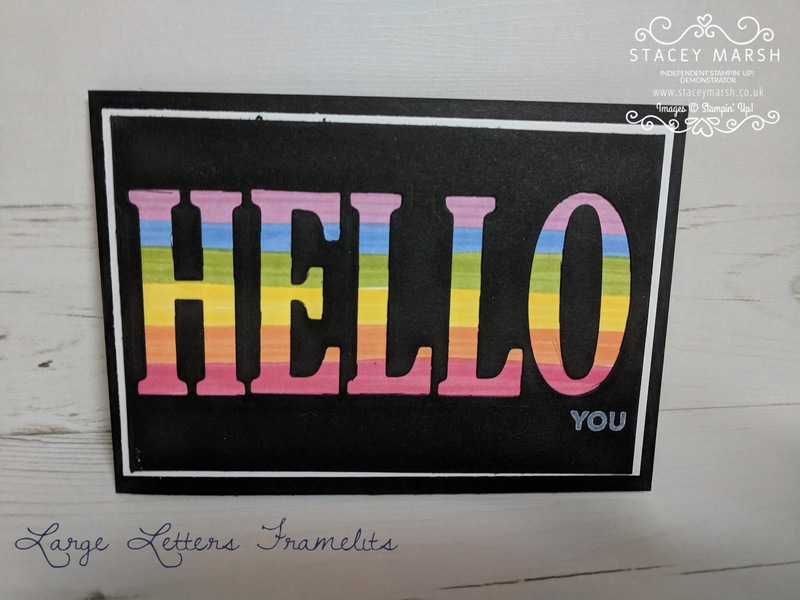 The rainbow effect has been created with the Stampin' Blends and I have used the Large Letter Framelits dies to cut out "HELLO" . 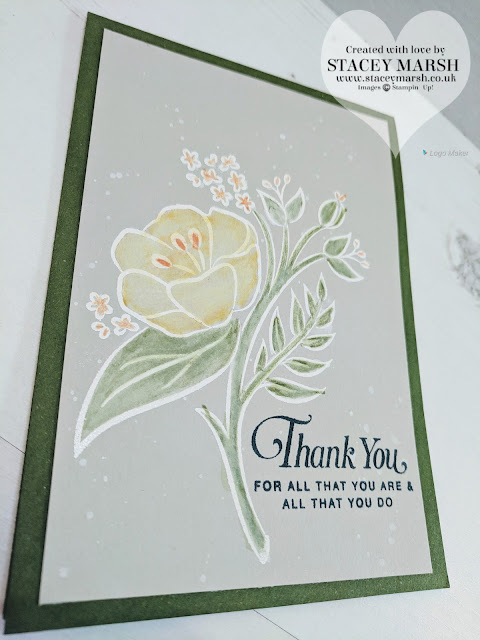 Thanks for reading folks, have a good Sunday!